A favorite pastime of mine is playing word games. I also like Sudoku, but I more often gravitate towards Scrabble, Scrabble-like games and word scrambles. With practice at these games, I have found out that these are great ways to get better and win more often. Thus, I am sharing these strategies to help other word-game lovers get more enjoyment, win more games, and, in the meantime, increase their vocabulary. Because of the available technology, specifically applications for computers, tablets and cell phones, we are in an era which can facilitate growing one's vocabulary and learning in general. Reading helps, but if you carry a smartphone with you wherever you go, you have an opportunity to learn and challenge yourself whenever you have an idle moment. And several of these applications are free for download from reliable sources. 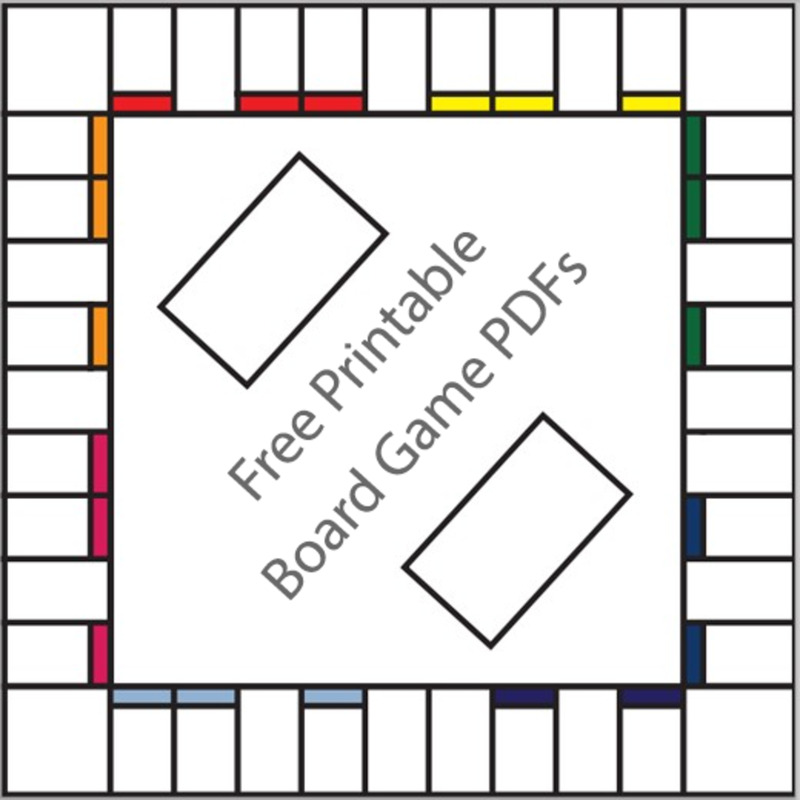 So getting them is easy, and when you practice these games on a regular basis, you have an opportunity to learn new words, what they mean and can remember them for use in your Scrabble game. I use all of the strategies mentioned below to win against the computers on the Hasbro Scrabble-iPhone application, as well as the programmed opponent for Droid Words. (The Hasbro opponent is the better of the two, in my experience.) Read on and find out to improve your winning experience in Scrabble! While I am not going to give you any specific lists of words (but there are references below) that will improve your Scrabble scores, I will give you a way of building a Scrabble vocabulary. If you want an exhaustive list, check out the resource section below. It is important to know that you have to adapt your vocabulary to meet the frequent situations that call for two- and three-letter words. You can find a list of acceptable two-letter words in the Hub, Scrabble Two-Letter Words, although I did notice that the list was missing "ja." You may also want to study the corresponding list on Wiktionary.org. Put this list to memory. Competitive players also put three-letter words to memory. An excellent three-letter to remember is "qua," which means in so far as, in the capacity of, or in the character of. Another way to work on your Scrabble Vocabulary is to use Scrabble knock-off games like Droid Word and play against the computer. As you are enjoying the game, you will, over time, learn new, valid words. That would include the full range of words, from those that are as small as two letters and upwards. The clones I use on my Android phone are Droid Words, Words Free and Classic Words Free. You can use the first two apps to play other people as well, making random or friend connects. I recommend Classic Words Free for advanced Scrabble players, because you can set the difficulty levels to challenge yourself. Both are fun to play as well as instructional. Another strategy that I use is to create mental flexibility for making words out of those randomly picked seven letters. There are several games that challenges you to make different words from a virtual rack of letters. In this case, I use an Android application called Word Mix. You can get a free version called Word Mix Lite to get you going. This addictive game, at least in the lite version, has five letters. There is the possibility of making one or more five letter words in each combination. You are also challenged to make all combinations of three-letter words and up. So, this game improves your ability to recognize patterns from randomly placed letters to make acceptable English words. If you practice this game once or twice a week, you can't but help to get better at making words from the seven letters that you have on your Scrabble slate. The official Hasbro version of Scrabble. If you don't want to waste your time with cloned games. Spend a couple of bucks and buy this. Make Words for Scoring. Being able to make long words is not the objective of this game. Rather, you need to make words that make high scores. So, shoot for making words that go on top of the tile spaces where you can double or triple the value of letters and/or words. Thus, in some cases, making a two- or three-letter word in the right spot is very successful. Stacking words often leads to high scores. 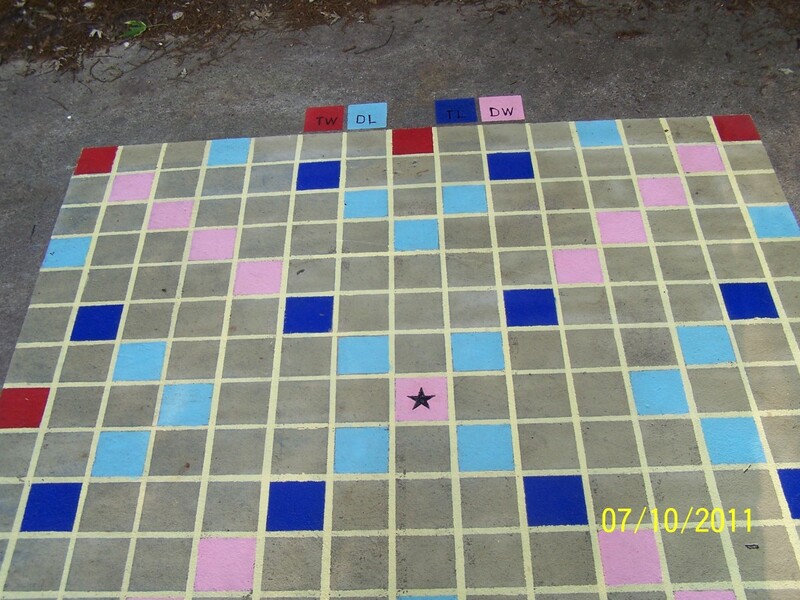 Keep Your Opponent from Using Score-Enhancing Tile Spaces. This is a weak point that I have noted with the computer opponents of some Android and iPad Scrabble games, especially so with the Android applications. If you can't use the surrounding spaces that enhance your score, plot to keep them unavailable to your opponent. Use different spaces to make words or make a shorter word if you have to, accepting a lower score, it will pay off in the long run. Seven-Letter Words. This is the Holy Grail of scoring events. When it happens, it is called a bingo and you get a 50-point bonus for using all seven of the tiles on top of whatever the word score is. This opportunity doesn't come by often, but when it does, it's great! Work on Word Endings, Prefixes and Compound Words. For existing words on the board, observe whether they can be added to with any of the letters you have on your rack. Some word endings that you can look for include -ed, -er, -ing, ier, -est, -ing or -iest. Prefixes to consider include re-, ex-, pre- and -un. Make a compound word from the word "lord" by adding "over" before it to make a much longer, and higher-scoring word. Look for all of these opportunities, they will sometimes be the best strategy for making the highest scoring word. Sandbag. Don't play all of your tiles if you have word-ending tiles that can be used for the next move or later to connect to another word. Adding an S ending to a word and beginning another word with that S gives you two words and sometimes double the score! More ideas. You can get more ideas from an experienced Scrabble player on HubPages by reading the article on basic Scrabble strategy. Below I have listed another article which lists methods used by pros if you really want to get serious about competition and winning. 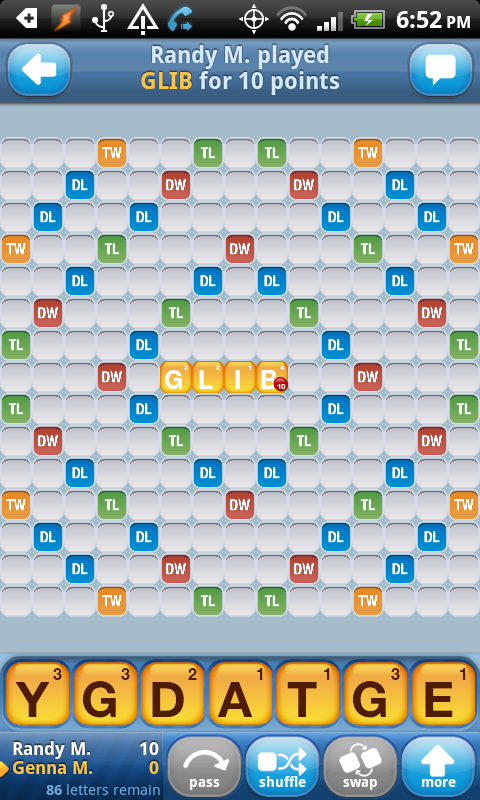 I often run across people when I am using Words with Friends that obviously use a program to find words. These types of programs include Scrabble Helper and Word Breaker in Android OS, Word Cheats and Cheat Master 5000 in iOS, and WordSolver and Scrabble Cheats on the web. This is a strategy for winning that I find appalling. But, perhaps it is okay for occasions when you are really stuck. You can tell when people are using this because of the unusual words that are played. 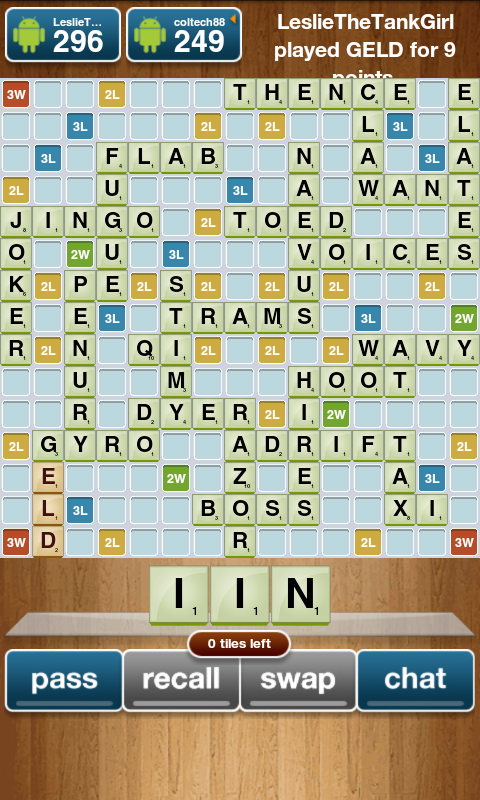 I also recently played someone who swap letters frequently so they can make 7-letter word bonuses. That really steamed me. I have learned quite a few words from people who use these types of programs, but if you are honest and want honest play from another person, it is best to quit games where these cheats are being used and look for another player. Donald Sauter. How to use the Q in Scrabble. S. E. Smith. 2012. What are some good Scrabble strategies? wiseGEEK. Great hub. I come from a "word game family" so this was a fun read. I too have come across the infuriating words with friends cheaters, if you don't have to think about it what really is the point of playing? Thanks for sharing! Anthony, keep working on it and you will be recognizing bigger and bigger words. That being said, I sometimes get whipped by people who are more agile at placing small words in strategic places. Stacking words horizontally and vertically can lead to multiple words, and with bonus tiles you can create scores that exceed 30 points or more frequently. Great tips, I like yourself am addicted to Words but unlike you I can only come up with three or four letter words and I am always getting beat because of that. You offer some super tips for Scrabble. Love to read up on this game!